Online shopping is more popular than ever. Consumers all over the world are now choosing to shop without leaving their homes. Mobile apps and smart devices make online shopping one of the most convenient ways to make purchases. With more online shops opening on a regular basis, this trend doesn’t seem to be slowing down anytime soon. When making purchases online, consumers need to choose a payment option that offers them the most benefits. While traditional credit cards remain one of the top choices, more consumers are opting to put their trust in PayPal. This online financial network offers lines of credit to consumers, making it easier than ever to shop online. PayPal is an online payment service that first came into existence in 1998. It became popular with the rise of eBay in the early 2000s. Online eBay sellers relied on PayPal to allow buyers a safe and secure method to payment for their purchases. As PayPal grew, more companies began to offer PayPal as a payment method. Today, companies both big and small allow buyers to pay through the PayPal portal. PayPal acts as the middle man between the seller and the buyer. All financial information is stored within the PayPal platform. Whenever a buyer makes a purchase, the money is transferred from PayPal to the seller. This increases security because the buyer never shares their financial information directly with the seller. When PayPal first went into business, buyers could either make purchases with their account balance, checking account, or attached credit card. Now PayPal extends its own line of credit to customers. This makes it easier to use PayPal credit to make online purchases. Choose PayPal as your payment option. Log into your PayPal account when prompted. Select PayPal credit as your funding source. If a merchant accepts PayPal, then you can easily use PayPal credit to make the purchase. There are only a few exceptions, including gambling sites, adult content, and value cards. If PayPal credit is not allowed on a specific purchase, it will not be listed as an option during checkout. Grace periods for qualifying purchases is one of the main benefits of using PayPal credit. A zero percent interest rate for 4 months is offered on all purchases over £150. Finance charges are then applied to any remaining balance after this 4-month grace period. Consumers will also pay finance charges for all purchases below the £150 threshold. Whenever a consumer makes a purchase online, they are taking a risk. Using PayPal credit reduces this risk with their highly praised buyer protection plan. If a purchase doesn’t meet your expectations, you can return it without any questions. PayPal will even reimburse you for any return shipping rates, up to £15. This makes buyers feel more confident when shopping online. Every purchase that is made using PayPal credit is encrypted. In fact, PayPal is constantly improving and evolving its encryption methods, ensuring your financial information remains hidden from the wrong hands. Your PayPal credit account is monitored around the clock. Every transaction is watched, and customers are notified immediately of any suspicious purchases or behaviours on their account. You are not responsible for any unauthorized or fraudulent charges. As a borrower, you’re responsible for making all repayments on time each month. Fees are assessed each time a payment is received after the due date. The current fee is £12 for each late payment. If a payment is returned for insufficient funds, PayPal may charge you a fee up to £12. It’s important to make sure you have enough money in your account whenever you make a repayment to avoid this fee. If you wish to receive a paper statement, a £5 fee is charged. 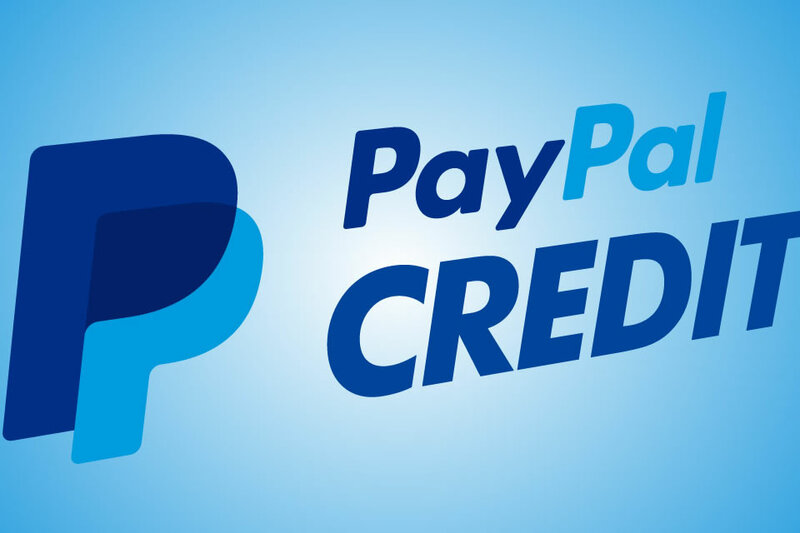 All PayPal credit users can view their statements electronically, free of charge. Customers are provided with an outline of credit, which clearly states which fees may be collected. Any changes to this agreement are provided in writing, according to local rules and regulations. Consumers may apply for credit by visiting the PayPal website and filling out an online form. Most people are approved quickly. Once your account has been approved, you may begin to make purchases using your line of credit right away. Your credit limit is determined by several factors, including credit history and credit score. Once your credit check is complete, PayPal will notify you directly of your credit limit. PayPal regularly audits accounts, and if you always repay your debts on time, you may become eligible for a credit line increase in the future. PayPal credit has become the payment option of choice for many consumers. Because of its popularity, more and more businesses are choosing to accept it as a form of payment. PayPal credit protects both buyers and sellers. It’s one of the safest ways to shop online with confidence.